Thanks so much to Berkley Pub for these copies. A historical fiction mystery with a touch of supernatural. Vermont, 1950. There's a place for the girls whom no one wants--the troublemakers, the illegitimate, the too smart for their own good. It's called Idlewild Hall. And in the small town where it's located, there are rumors that the boarding school is haunted. Four roommates bond over their whispered fears, their budding friendship blossoming--until one of them mysteriously disappears. . . .
Vermont, 2014. As much as she's tried, journalist Fiona Sheridan cannot stop revisiting the events surrounding her older sister's death. Twenty years ago, her body was found lying in the overgrown fields near the ruins of Idlewild Hall. And though her sister's boyfriend was tried and convicted of murder, Fiona can't shake the suspicion that something was never right about the case. When Fiona discovers that Idlewild Hall is being restored by an anonymous benefactor, she decides to write a story about it. But a shocking discovery during the renovations will link the loss of her sister to secrets that were meant to stay hidden in the past--and a voice that won't be silenced. . . . This story spans two different timelines: 1950 and 2014. Fiona, in 2014, is a journalist and wondering why Idlewild Hall is being restored and wants to write a story. Little does she know the information that will be unburied. These not only shed light on what happened back in 1950, but also what happened to her sister, who died years ago. In 1950, we get the story of roommates Katie, Roberta, CeCe and Sonia. At Idlewild, a school for wayward girls, seemingly haunted by Mary Hand. I was not expecting the supernatural part of this story. (Probably a reason for me to reread synopses before I start a book!) It brought a hauntingly chilling vibe that I really enjoyed. 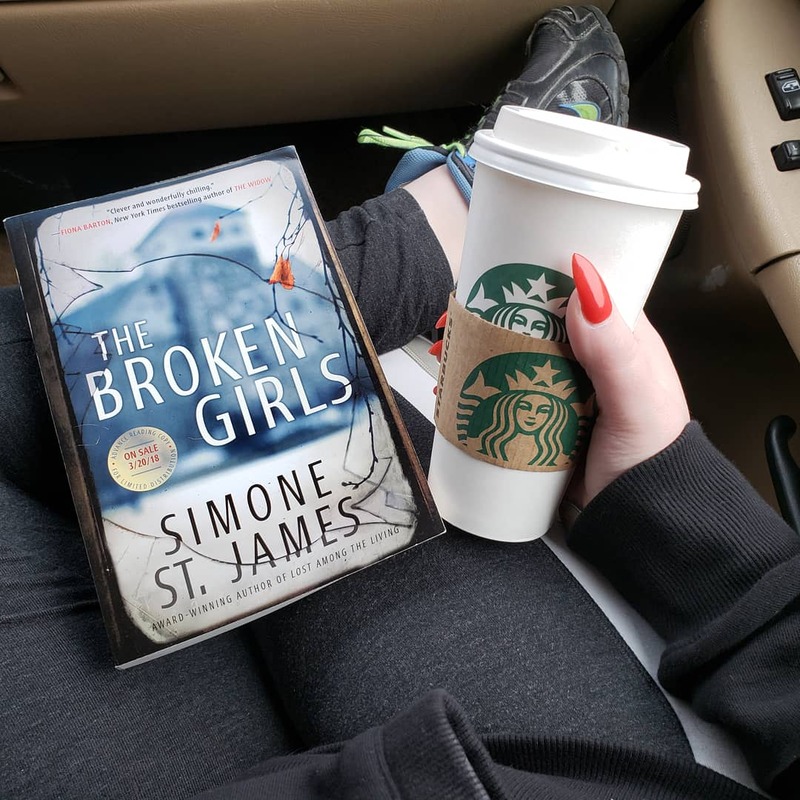 It is not overdone and blends in perfectly that while I did get the chills in certain parts, it did not overwhelm the mystery part of the book. Outstandingly done by the author. I was engaged from the very start of the book and found Fiona's tenacity compelling. I love a woman that doesn't back down and she certainly does NOT. Following both timelines wasn't confusing... and I always find it interesting to see how different worlds are from one decade to another. It's not that it's surprising, as we all have read these types of things, but adding in Mary Hand and Sonia's further background added a special touch to the storyline. Before starting this, I had seen some positive reviews, so I was excited to start! 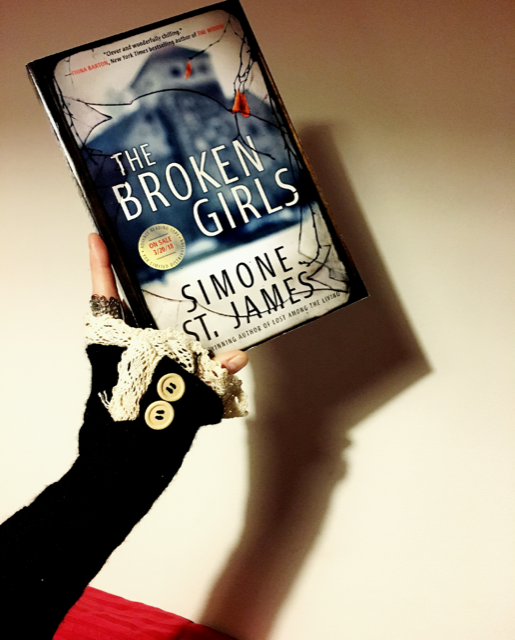 THE BROKEN GIRLS was my introduction to Simone St. James, and it won't be my last. In this thriller meets supernatural fiction we focus on Idlewild Hall and the secrets its been keeping for decades. St. James brings us back and forth between 1950 and 2014, what do they have in common? Idlewild Hall. This was originally a home that troubled girls were sent when no one wanted them any longer. In the small Vermont town, there had always been rumors that the building was haunted. One day one of the girls disappears, never to be heard from again. Fast forward to Vermont in 2014 - Fiona is a journalist and she is still haunted by the death of her sister. Twenty years ago, her body was found near the abandoned Idlewild Hall, and her boyfriend was convicted. When news of the restoration of the building reaches Fiona, she decides to do an investigative story on the history, and the secrets she finds are ones that were meant to stay buried. The story had an overall eerie and dark tone to it, the supernatural element gave this mystery thriller an edge that others don't typically have. I think that St. James did a fantastic job blending these genres together and I really enjoyed it! You'd think that the two timelines and different stories would get confusing and muddled together, but the author does a great job keeping the timelines separate. Overall, I'll definitely be picking up more from St. James. If you want a great female lead, like the alternate timelines with a similar focal point (Idlewild Hall), and a touch of supernatural to your mystery, then this is the book for you! I give this one 4/5 stars! I know what you are thinking. “Seriously…Another book with “girl” in the title? !” But fear not! The Broken Girls, the recently released novel by Simone St. James, stood out for me! From the beautifully blended narratives to the small details, St. James creates a novel that is hard to put down. In fact, I found myself reading this one late into the night. The novel opens with the introduction of Fiona, a reporter with a haunted past. After the death of her sister, things have never been the same and even though the man responsible has been put in prison, Fiona (and her family) have never really been able to move past it. So, when she finds out there are plans to restore the building (an old school for girls) where her sister’s body was found, Fiona cannot help but dig around. And, in doing so, she quickly finds out that the past never really stays buried. Told in alternating time periods and alternating perspectives, I loved the way St. James choose to tell this story. I loved the moments that flashed back to the girl’s school in the 40s and how each member of their group of friends had an individual chapter to voice. I found each character likeable and I was interested in each of their stories and was truly concerned about their plights. I also found that Fiona, in the present story line, was a well-developed character. I think that St. James did a brilliant job incorporating a bit of historical fiction; it didn’t feel distracting. I felt like it really added another layer to the story. 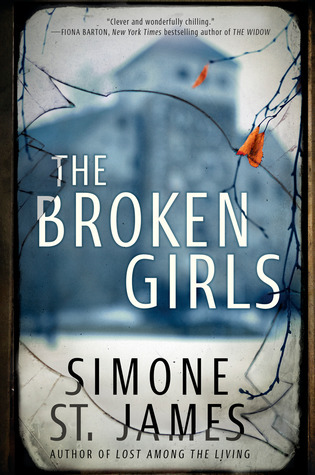 One thing I didn’t care for with The Broken Girls was the paranormal storyline. The ghost at the school felt like it really didn’t belong and was sort of a side-plot. I felt like it wasn’t needed. Overall, I was a huge fan of The Broken Girls and I think that fans of Fiona Barton or Fiona Davis will enjoy this one. 4/5 stars!